An Advent Service and Carols will take place this Sunday, 9th December, at 5pm in the College Chapel. All are welcome to join us! On Wednesday 21st November, Archbishop Jorge Patron Wong, Secretary for Seminaries at the Congregation for the Clergy, visited the College. He celebrated the Eucharist with the community and conferred the Ministry of Acolyte on two Irish Seminarians, Mr Joseph Keegan and Mr John McEneaney. 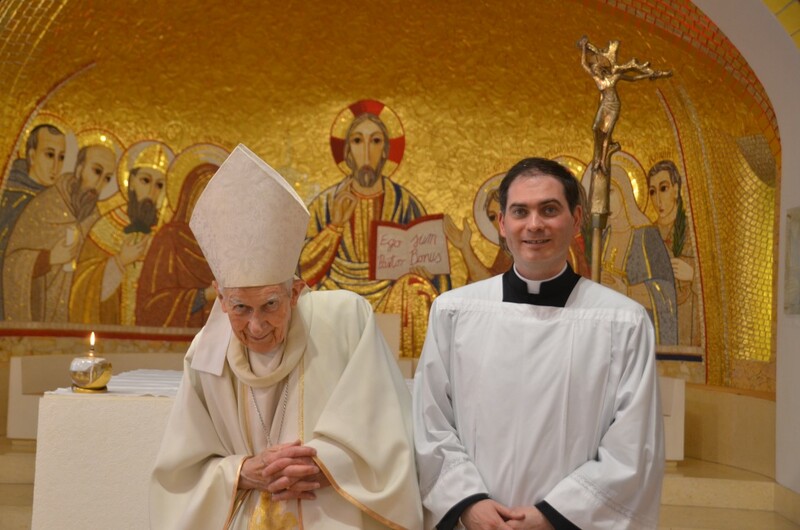 The Ministry of Acolyte is a significant stage on the path towards ordination as a priest. The Acolyte’s ministry is a service at the Altar. It is complimented by the Ministry of Lector, which is a service to the Word, generally received before the Ministry of Acolyte. These two ministries – at the Altar and of the Word – are fundamental to the ordained ministry of the priest. The Annual Soccer Tournament in memory of Servant of God, Fr Ragheed Ganni, took place on 17th November 2018. The winners this year were a new team from the University of Notre Dame Global Gateway who beat the Irish College in a great final. We wish them every congratulations! Thanks to Fr Bernard Healy for the photos which can be found here and to the Pontifical Scots College for the video above. 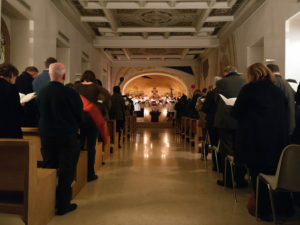 As is customary in Rome on the Solemnity of All Saints, the College Community gathered in the Cimitero Verano to remember and pray for the dead. In a particular way, we remembered those students and staff of the College who died here in Rome and whose remains are interred in the Irish College plot. On Sunday next, 3rd June, the 11th Anniversary of the deaths of Servants of God Fr Ragheed Ganni and his companions, Fr Rebwar Basa, a priest of the Chaldean Patriarchal Archeparchy of Baghdad, will preach the homily at the Sunday Eucharist to be celebrated at the Pontifical Irish College. 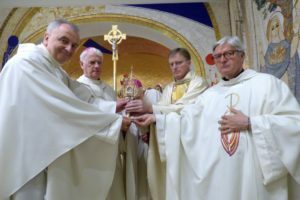 It was with great joy that the Community at the Pontifical Irish College became aware that the cause of Fr Ragheed Ganni, and his three companions, has officially been opened at the Congregation for the Causes of the Saints. 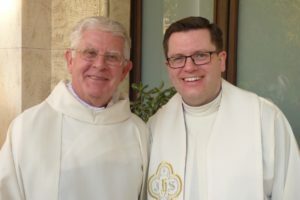 Fr Ganni was a student at the Irish College from 1996 until 2003. He completed his formation for the priesthood here, and he was ordained a priest of the Chaldean Catholic Archeparchy of Mosul in 2001. After ordination Fr Ragheed continued his studies at the Pontifical Irish College, and he gained a Licentiate in Ecumenical Theology from the Pontifical University of St Thomas, the Angelicum. In 2003 he elected to return to his home country of Iraq. 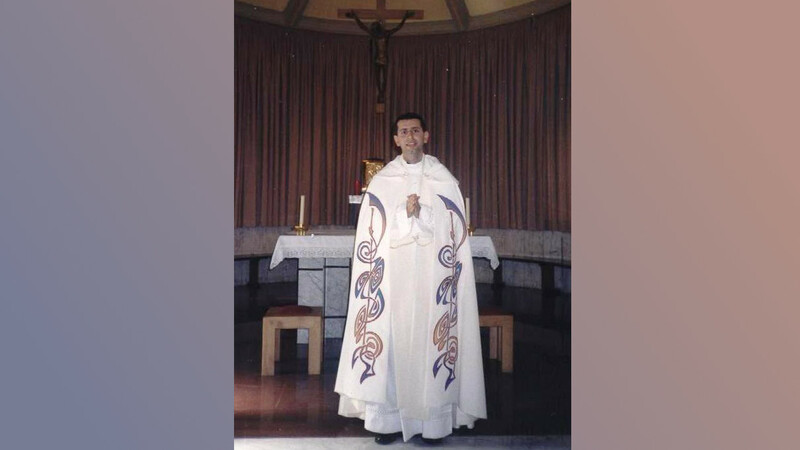 On June 3rd 2007, after celebrating Mass, he was murdered along with his three companions who were subdeacons, one of whom was his cousin. There are a number of steps involved in the recognition and canonization of saints. With the opening of Fr Ganni’s cause, the first stage has begun and he is now officially known as “Servant of God”. Competency in the cause has been transferred from the Archeparchy of Mossul of the Chaldeans to the Eparchy of Saint Thomas the Apostle of Detroit of the Chaldeans. What has now begun is a diocesan inquiry into the life, the martyrdom and intercessory power of the Servants of God Ragheed Aziz Ganni, Priest of the Archeparchy of the Mossul of the Chaldeans, and 3 Companions, Subdeacons of the same Archeparchy, killed in hatred of the Faith in 2007. On Wednesday 23rd May 2018 Mr Colm Hagan, a seminarian for the Archdiocese of Armagh, was conferred with the Ministry of Acolyte by Bishop Patrick Walsh, Bishop-Emeritus of the Diocese of Down & Connor. 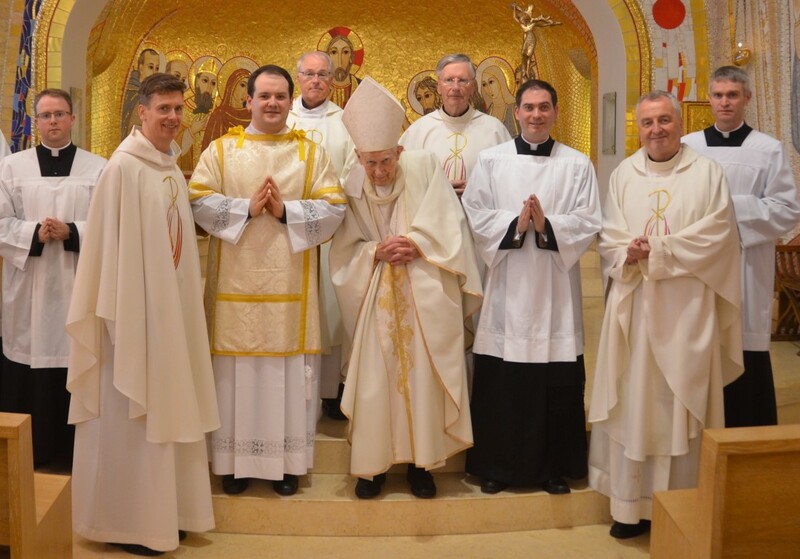 The Ministry of Acolyte is the second ministry received by those preparing for ordination as a deacon and priest. The first ministry is Lector. 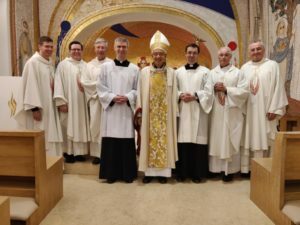 Prior to ordination as a deacon seminarians enter Candidacy, the third step on the journey towards ordination. On Friday 18th May 2018 the Pontifical Irish College welcomed members of the Missionary Society of St Columban, along with friends and supporters of the Society, to celebrate the 100 year anniversary of papal recognition of the society, granted on the feasts of Ss Peter and Paul, 29th June 1918. 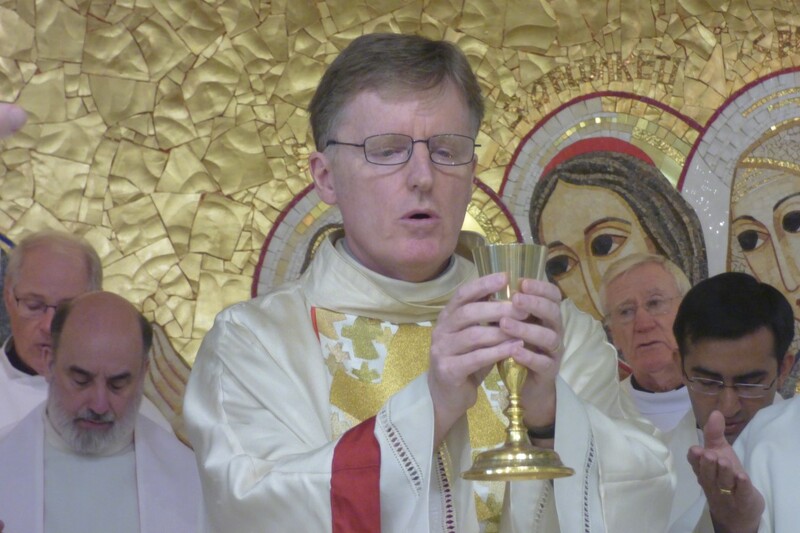 The current Superior General of the Society, Fr Kevin O’Neill, presided at a celebration of the Eucharist. 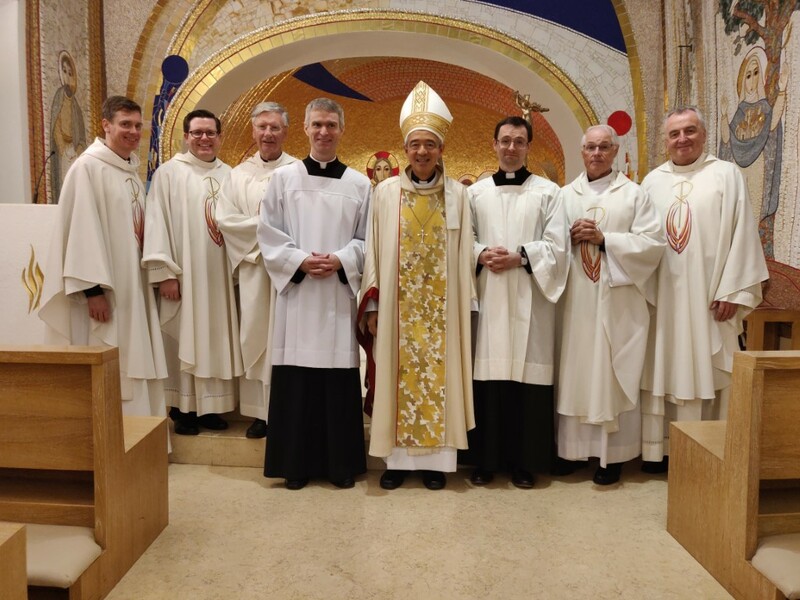 Fr O’Neill was joined in the concelebration by many Columbans, as well as the Rector of the Pontifical Irish College, Msgr Ciarán O’Carroll, Bishop Noel Treanor of the Diocese of Down & Connor, Bishop Patrick Walsh, Emeritus of the same diocese, Don Mario Poggi, Chancellor of the Diocese of Piacenza-Bobbio, staff and post-graduate priests of the Irish College, as well as priests from Beijing, Australia, and across the city of Rome. The Irish Ambassador to the Holy See, H.E. Emma Madigan, was joined by other members of the diplomatic corps, including H.E. Sally Axworthy, British Ambassador to the Holy See, H.E. Melissa Hitchman, Australian Ambassador to the Holy See, H.E. Matthew S.M. Lee, Ambassador of the Republic of China to the Holy See, H.E. Baek Man Lee, Ambassador of the Republic of Korea to the Holy See, and H.E. Grace Relucio Princesa, Ambassador-designate of the Republic of the Philippines to the Holy See. Many friends of the Columbans participated in the Liturgy, including many religious sisters, brothers and priests. The seminarians of the Irish College served the Mass as well as providing the liturgical music. At the conclusion of the celebration the Rector of the Irish College was presented with a relic of St Columbanus to be kept at the Irish College for the veneration of the community and the faithful who gather regularly for the celebration of the Eucharist. What follows is the homily delivered by Fr Kevin O’Neill, Superior General of the Missionary Society of St Columban, during the Eucharist celebrated to mark the centenary of the Society. Thank you everyone for coming to celebrate this Eucharist of thanksgiving on the occasion of the Centenary of the Foundation of the Missionary Society of St Columban. In this Eucharist we give thanks to God for God’s steadfast love and fidelity and for the many blessings received through the Missionary Society of St Columban’s participation in God’s mission over the past 100 years. We give thanks for the blessings our Society has received through the friendships and collaboration in mission we have experienced with so many across the world. During this Centenary Year, in a spirit of gratitude, we give thanks for what has been, with passion we celebrate our mission today, and with hope look forward to our unfolding participation in God’s mission into the future. We give thanks to our founders Frs Edward Galvin and John Blowick for their missionary zeal and vision to found our Society. They met many challenges along the way. Their spirit is with our Society today, supporting us, and guiding us as we face the challenges of our times in our service of the Reign of God. Millions of Chinese to be won for Christ! That was the prize that enchanted a small group of Irish secular priests, who were the prime movers in initiating what was initially named The Maynooth Mission to China, and later became the Missionary Society of St Columban. It is fitting on this occasion to recall some of the story that lead to the founding of our Society. In 1911, Canadian Fr. John Fraser, who later founded the Scarboro Foreign Mission Society in Canada, gave a talk at St Patrick’s College, Maynooth, Ireland, about his life as a missionary in China. Fr. John Blowick, was a student at the time, and was present at the talk. Three other students, who later also became Columbans, were also present. Fr. Edward Galvin, also a former student at Maynooth, who later became Bishop of the Hanyang Diocese in China, met the same Canadian missionary in New York, a year later, in 1912. At the time Fr. Galvin was a young Irish priest on loan from his home diocese of Cork to the Diocese of Brooklyn. It was after this encounter that Galvin decided to go to China. Four years later, in 1916, desperate for help, and knowing that he had somehow to find a source of manpower and funds in Ireland to guarantee the future of the project in China, Galvin went back to Ireland. He was put in contact with Fr. John Blowick and others, with the idea of setting up a Missionary Society for China. At that time Fr Blowick was teaching Moral Theology at Maynooth. Later that same year, on October 10th, 1916, the Bishops of Ireland gave approval for the new missionary endeavor. 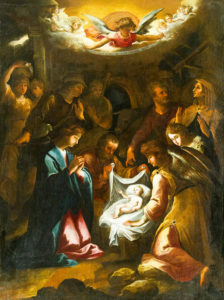 It is said that “the bishops were rejoiced and thankful to God for this new and striking evidence of the continued life of the ancient Irish missionary spirit.” Shortly after the Irish Bishops’ approval, professors from Maynooth, together with priests and sisters from religious orders, and almost every diocese in Ireland, helped in the nationwide appeals to raise funds for the new Society. 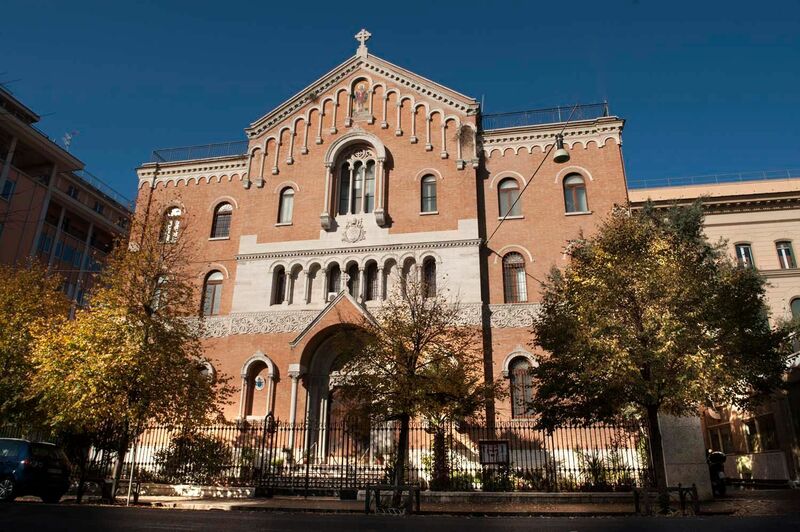 Cardinal Logue in Ireland forwarded the decision of the Irish bishops to the Vatican through Monsignor Michael O’Riordan, the Rector of the Irish College in Rome. Monsignor O’Riordan presented the letter in December 1916 to Progaganda fidei. There was no response. In May of the next year, 1917, Monsignor O’Riordan sent a message back to Fr Blowick in Ireland, ‘Come out and come quickly’. Fr Blowick later discovered that someone had reported to Rome that the new mission was merely an excuse for Irish priests who did not wish to join the British army, “they said we weren’t genuine missionaries at all. We were just a bunch of Irish priests who were providing a decent front for priests that didn’t want to go to the army”. Frs Blowick and Galvin arrived in Rome in July 1917. With the help of Monsignor O’Riordan, his vice-rector Fr John Hagan, and letters from Cardinal Logue, the two young priests convinced Propaganda that the undertaking was bona fide and real. The Cardinal prefect of the Congregation handed them letters for Cardinal Logue and the Irish bishops welcoming the “founding in Ireland of a college for Foreign Missions”. The Cardinal prefect added that Pope Benedict XV gave “his most cordial approval of it, and desired me to add in his name a wish that the new work might be started with alacrity”. On the Feast of Sts Peter and Paul, June 29th, 1918, two years after the Irish Bishops’ approval, the Maynooth Mission to China was formally erected by Thomas O’Dea, the Bishop of Galway. This day was thus marked as the Foundation Day of our Society. 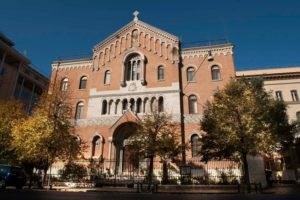 Before the Collegio San Colombano was built in Rome in 1933, and the appointment of permanent procurators, our Society continued to rely on the help so generously given to us by the Rectors of the Irish College. It is more than likely that our Co-founders were guests of the College back in 1917. We are grateful this evening for the kind invitation and warm welcome of the Rector of the Irish College, Monsignor Ciarán O’Carroll, of the priests, staff and students. 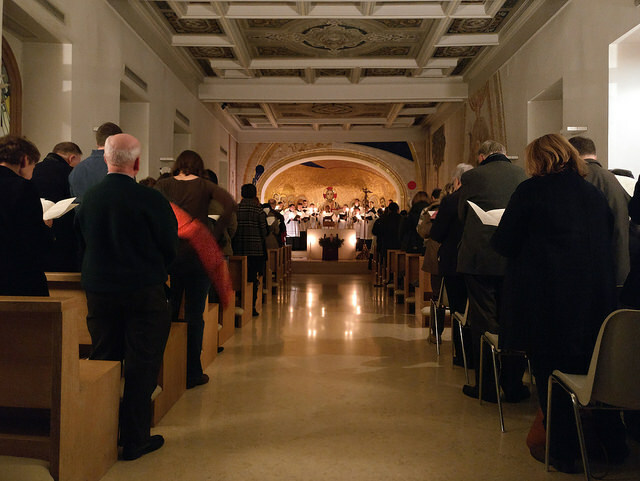 It is a joy to be here in this chapel in Rome to celebrate our Centenary and to thank you for the role this college played in the foundation and early history of our Society across the world, and for the friendship and support we have had, and continue to have, over the past Century. Since the first hearty welcome into the dioceses across Ireland the Society has been welcomed into numerous dioceses around the world as we helped to establish local churches, fostering in these churches an awareness of their missionary responsibility, principally in the areas of justice, peace, and care for Creation, while promoting dialogue between Christians and those of other religious traditions, and facilitating interchange between these churches. We believe the local people themselves have the responsibility for bringing the faith alive in their culture but missionaries have a role to play in setting up the conditions which make such inculturation possible. This ancient Irish missionary spirit, referred to by the Bishops of Ireland when they approved the setting up of the new Society, has its roots in the great missionary monks of Ireland one of whom was Saint Columban, who is the Patron Saint of our Society. The Congregation of the Missionary Sisters of St Columban was established in 1924. The founders of the Congregation were Fr. John Blowick and Lady Frances Moloney, who later became Mother Mary Patrick. Both the Society and the Congregation were founded for Mission in China. Since the 1950s the Society has been blessed to have diocesan priests work with us on mission. In response to the spirit of Vatican II, with its awakening to the church being missionary by its very nature and so all Christians are called to mission, our Society enhanced our programs for the formation and education of the laity in the local churches where we work; we also invited lay people to join us on mission leading to the establishment in 1990 of the Columban Lay Missionaries. Today, Columban missionaries across the world are blessed to mirror the face of God from different nationalities. The first group of Columbans went to China in 1920. On going to China, Bishop Galvin said: “It was a mad thing to do”. He also said “We are not here to convert the Chinese but to do the will of God” – quite a remarkable insight into mission for a man of his time. With God’s grace, and God’s gift of missionary imagination, Columban missionaries and co-workers, over the past 100 years, have listened to the word of God, have discerned the “signs of the times” through the movement of the Holy Spirit in the life of the church and in the world, and responded courageously and creatively to do the will of God. Like all missionary disciples of Jesus we promote the message of Christ and not ourselves, remembering the motto of St Columban (Christi simus non nostri) “Let us live for Christ and not for ourselves”. Like St Columban, we too are pilgrims for Christ. In our lives as missionaries we have learned the truth of St Columban’s words: “A life unlike your own can be your teacher”. The many people of different nationalities and cultures we have been blessed to serve and to live among have become our teachers. Columban missionaries, have and continue to, enter into a given cultural context sharing life with the people among whom we live and serve. We deliberately choose to locate ourselves among those most in need, the poor and abandoned of our world, and strive to live in solidarity with them through a companionship of empowerment. We encourage people, and walk with them on their faith journey, and in their struggle to change the unjust structures that keep them poor and on the margins of society, as together we care for the Earth, our common home, inspired by the words of St Columban in his First Sermon when he said: “If you want to know the Creator you must first know his creation.” The source of our witness and actions is our faith in Jesus. We desire to mirror in our own lives the pattern of Jesus’s life, helping people of all faiths, or no faith, to gain their dignity as sons and daughters of God, loved by God. As Pope Francis says in his encyclical Laudato Si’ we seek to “listen to and heed the cry of the earth and the cry of the poor”. When St Columban stood against the powers that be, he spoke fearlessly, with great courage. He paid dearly for his stance. He had to endure the heartbreak of being expelled from his beloved companions and his earliest three monasteries in France. Columban missionaries, over the past 100 years have shared something of his experience. All of our members were expelled from China in 1952; all had to leave Burma in 1979; individuals were expelled from Fiji, from Chile, from the Philippines and from Taiwan down through the years. Many were interned during several wars and others survived years of solitary confinement in China. Others endured torture, being kidnapped and falsely imprisoned. Columbans went and stayed with the people in violent times of dictatorships, military regimes and terrorism. A number of our priests and sisters suffered violent deaths in mission lands. They paid the ultimate price. Many Columban priests, sisters and lay missionaries left this world too soon. They were buried by the people who loved them and whose country was their home. We remember them as we do all the Columban missionaries who have gone before us. We thank God for their missionary witness and for their protection we experience in this earthly life from their place in eternal life. We pray for our benefactors. For 100 years they have been generous in their support of our Society. Without their prayers and generosity we would not be celebrating our Centenary. As we approach the great Feast of Pentecost, we pray that people will continue to respond to the Holy Spirit’s invitation to be missionaries in our world today. We ask our Patron St Columban to pray for all missionaries throughout the world. The missionary spirit of our Co-founders, Frs Edward Galvin and John Blowick, all Columban missionaries and the people among whom they lived and served, who have gone to God, inspires us today and fills us with hope as we continue to respond generously to God’s call as missionary disciples of Jesus, sharing gospel joy in our world today.